Seems like our friends in the natural world haven't been having an easy time lately. Earlier this week, the World Wildlife Fund issued a damning report on the drop in wildlife populations around the world, citing climate change as a factor. Now we've all got some shocking visual evidence of just how disruptive a warming planet can be for marine life — 35,000 walruses rolled up on an Alaskan beach last week, and it's basically climate change's fault. The available images, released by the National Oceanic and Atmospheric Administration (NOAA), are equal parts stunning and tragic. Basically, the melting of Arctic summer ice has forced the hapless walruses to seek rest on dry land. Usually, they'd stake out spots atop sheets of sea ice, occasionally diving underwater to find food, but there's so little of that ice ice left — 2014 saw the sixth-smallest low point for the ice since 1979, according to the AP — that they've had to take to the beach instead. 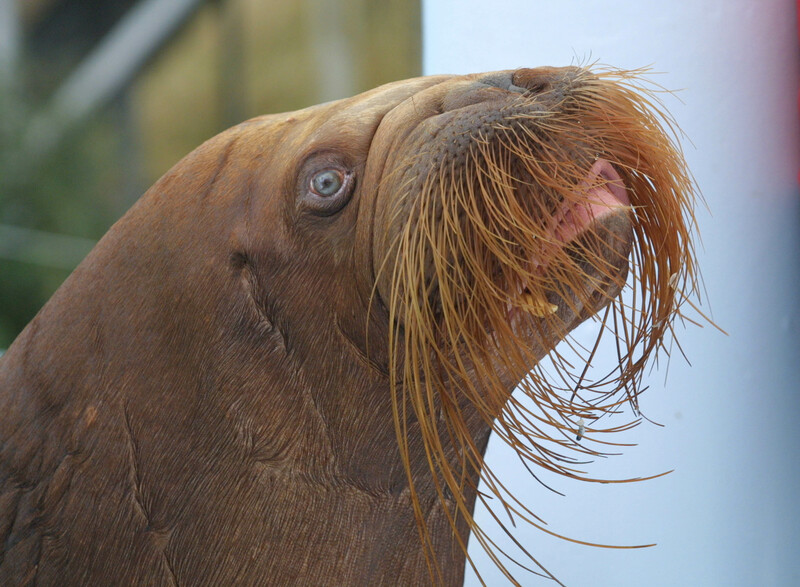 The thing about walruses is that they're neither pure creatures of the land or sea, needing both to swim to catch food, and to have solid ground underneath them to rest. As such, not enough ice means a whole lot of walruses going around. You see that enormous brown sheet rolling in from the shoreline? Yup, that's pure walrus, about 35,000 of them. According to the AP, about 50 dead walruses were spotted in the mix, although it isn't yet clear why — it's possible that it could've been due to a stampede, but that won't be conclusively known until a team can confirm the cause of death.